“The following” change episode to episode, but the Shileys remain at the top of the list. 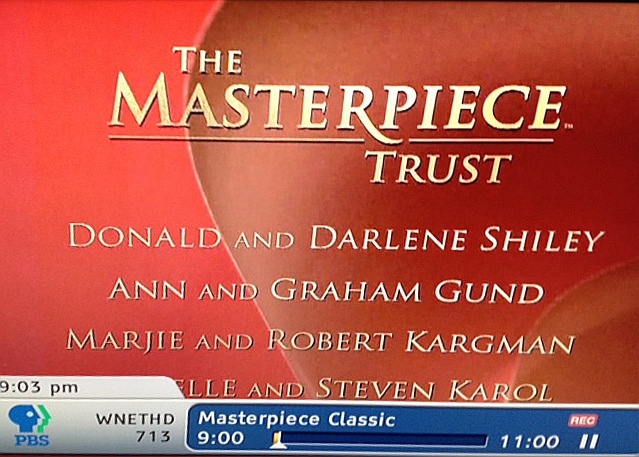 You’ll even see their names as supporters of Masterpiece Mystery. Which got me thinking — who are Donald and Darlene Shiley? Should I know their names already? And can I personally thank them for ‘ensuring the future’ and very existence of Downton Abbey? Sadly, Donald died in August of last year, but not before he made tremendous contributions as a doctor and philanthropist. Shiley collaborated with Swedish cardiologist Dr. Viking Bjork to develop the Bjork-Shiley heart valve, which is credited with saving hundreds of thousands of lives. He also contributed millions to research centers in San Diego which bear his name. The Shiley Eye Center at UC San Diego. The Shiley Center for Science and Technology at the University of San Diego. The Donald P. Shiley Cardiovascular Research Center at San Diego State University. So now, each time I sit down to enjoy another addictive episode of Downton Abbey, I’ll smile knowing an even greater love story made the whole darn thing possible. This entry was posted in Entertainment, History, Humor, Life, Love, Technology, Television, TV and tagged Alzheimers, Bjork-Shiley heart valve, cardiologist, Darlene and Donald Shiley, doctor, Downton Abbey, Dr. Viking Bjork, entertainment, Health, history, Humor, life, Masterpiece Classic, Masterpiece Mystery, Masterpiece Trust, medicine, PBS, philanthrophy, public television, Television, television episode, television series, The Donald P. Shiley Cardiovascular Research Center at San Diego State University, the Old Globe Theater, the Scripps Clinic, The Shiley Center for Science and Technology at the University of San Diego, The Shiley Eye Center at UC San Diego, TV. Bookmark the permalink. I am a fan of Downton Abbey and much PBS programming. Thirteen, to remove their obtrusive logo, THIRTEEN, from the bottom of the screen during programming. It destroys mood and content and demonstrates disrespect for the viewer. I was hoping sponsors would be willing to help. I do not know if this will reach Darlene Shiley, but I hope it does. First let me extend to you my sympathy on the loss of your cherished husband. But because of your union you have brought joy to thousands of people. What a legacy! My second comment is to thank you for your support of Masterpiece Theatre. Your generosity allows those in the USA and Canada (where I live) to enjoy this outstanding programming. Your love affair and the great work that has come out of it is an amazing story. 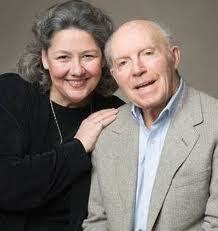 Thank You for all you have both done. Exactly what I always wondered, too. “Who is that generous woman with the beautiful infectious smile?” So on Googling her name, I’ve learned the story of Donald and Darlene Shiley. And so I can see that the bright spirit that glows from her face is validated by the generosity and goodness done by her and her wonderful husband’s foundation. Thank you Darelene Shiley!